Magic is the practice of having an intention and bringing that intention into reality, through the manipulation of energies, with practice magic becomes stronger and more powerful, it is the blending of energies from the other-world and the earthly realm. The areas of normal possibilities are transcended and the magic practitioner becomes the emissary of energy and an ongoing pupil of possibilities. If you have the traits of intelligence, determination, application, an irrepressible will, and a cautious outlook, discipline, logic and honesty, you are ready to make magic. There will be those who understand and accept and those who don’t, initiates of magic have an understanding and conviction and are committed to the practice of magic, there are adepts and charlatans. Magic also works with the natural energies of nature, and transcends the normal possibilities of mortals. The beginning of magic is to first understand yourself as you learn to work with the four elements, water, earth, air and fire. Our higher selves, our souls are influenced by the cycles of the Sun, Moon and the stars on a deep spiritual level, we all have the ability to tap into the cosmic energy and to be infused with a universal life force. By tapping into this energy we become connected to the cosmos, and imbue the energy allowing it to permeate every aspect of our being. As a white witch you will be drawing on ancient wisdom and power and be learning how to practice rituals, by doing this you will be entering into an altered state of consciousness as you draw on the cumulative powers of ancient magic. The source of power can be accessed through meditation, the use of crystals, amulets and energy harnessing rituals, for magic and healing. Trust your intuition and embark on what is referred to as inner-plane teaching, for the practice of magic you focus and direct your inner powers and energies, thoughts and desires and bring them to reality. Be giving, loving and altruistic with the practice of magic, by sending out positive magical energies the love and harmony of the earth and the cosmos are increased. It is like filling a cauldron with love, magic and positive energy until it overflows spilling out to the universe therefore supplying endless nourishment. When using magic take only as much as you need at one time, always practice benign magic with the energy of love, work with light and white magic, any spells sent to harm will rebound on you three times over. When using magic the boundaries of possibilities are extended, with constructive magic you can draw to you, luck, love, healing and financial stability. When making magic always use candles and incense, have magical thoughts with a defined intention this is the beginning of turning your magical thoughts into reality. When making magic on behalf of others be sure to charge a fee, by charging a fee it shows that you and the recipient of magic value it. Magic works best when there is a particular need and real emotion, have an intention and determination on an earthly level. Your life can be enhanced by exuding pure energy and shaping your life with your own inner power and belief, this power emanates from the god and goddess energy source that is available within all of us. The magic energies you work with are to be molded to suit you and the way you work, it is about what works for you and enhances your inner knowing, individuality and spirituality. Always apply the laws of witchcraft, one of which is to do no harm to any individual or group, and bear in mind the threefold law of witchcraft, which is that everything that you do, good and bad, will come back to you three times as strong. Successful magic comes from the practitioner who takes responsibility for their actions, and always works from light, with the practice of magic comes heightened psychic abilities that seem to spontaneously surface over time. Witchcraft originated in the Palaeolithic era, a time when there was no divide between nature and human beings, every part of the earth was seen as containing the life force, prehistoric witchcraft was used in the form of chants, cave painting, and dance. Offerings were given to the Horned God, and the Mistress of the Herbs, these rites continue among the Inuits and the Lapps of North Scandinavia. Painted on cave walls in the Pyrenees is the figure of a man, painted in black, wearing animal skins, this is said to be an image of one of the earliest forms of shaman. He is depicted with the eyes of an owl, the feet of a human, the antlers and ears of a stag, the tail of a horse and the paws of a lion. During the Neolithic period which lasted two thousand years from 7500 BC, the god of vegetation, corn, winter and death, offered himself as a sacrifice each year during the cutting down of corn, he was then reborn during the winter solstice, as the Sun god. Shrines to the goddess associated with the three phases of the Moon, waxing, full and waning, were built during the Neolithic period, the Moon offered the first ways by which time was calculated. Because the Moon was reborn each month, it was said that she gave birth to her daughter each month, and mirrored the mother carrying a child in her womb. 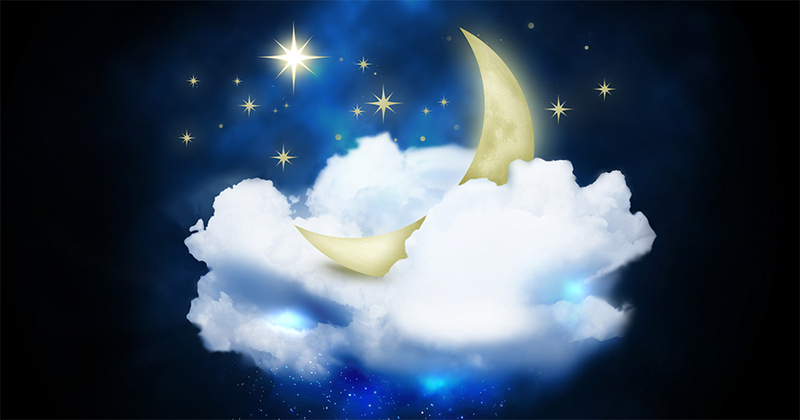 Moon magic has been, and still is used for fertility and love, usually carried out during the waxing Moon. Over the centuries there have been high ranking practitioners of magic, including royalty and popes, a surprisingly tolerant attitude was adopted where they were concerned. In the English Midlands there were witches known as the Midland water witches. They originally descended from the Netherlands, and magical knowledge was passed down from generation to generation. A special ritual was practiced by the water people, a triple magical square was constructed out of wood, with each square joined by four lines, this was known as the mill. Only the women were allowed to enter the sacred space, this was overseen by a senior female water witch, the Master who was the chief male, called upon the entity to assist in the ritual. Wicca is one of the major forms of witchcraft today, although many of the rituals are steeped in ancient traditions, there is a certain formality associated with it, with covens, or gatherings practicing rituals and invoking the goddess energy. It is accepted in magic circles that the goddess is the archetype of the power of the feminine principle, and any goddess invoked is a representation of particular qualities. Her representative is the high Priestess, and the consort of the goddess is the Horned God, his representative is the high Priest, the high Priest initiates the female members, and the high Priestess the male members. Another type of witchcraft that has been practiced since the early nineteen seventies, is taken from the Italian witches who worshipped Diana as the triple goddess of the Moon. Other groups and covens have been formed, some with a structured learning system, and others who create their own rituals, ceremonies, and spells, and ensue other forms of witchcraft. In some magic groups and covens the goddess is said to have greater significance and to be more powerful than her male counterpart, while others accept them as equals, the goddess seen as the Earth or Moon deity, ruler of the summer month. The god seen as the Sun or Corn god, ruler of winter and Lord of the underworld after his demise. For many the path of the solitary witch holds more allure than being a part of any type of gathering, they choose to practice alone, and many solitary witches possess exceptional psychic and magical powers. These witches create an altar and sacred space for themselves, and devise their own type of ritual and magic, in a way they are following in the footsteps of the old wise women who worked with herbs and healing centuries ago. These witches are often very knowledgeable regarding the healing power of herbs and plants, and are often gifted spell casters. They also have an innate knowledge of astral projection and otherworldly encounters, the solitary witch while formulating many of their own spells, gathers a selection of magic from many and varied traditions. If a witch is adept at potions and brews they are referred to as kitchen witches, think back to your own grandmother, I wonder how many of us had grandmothers who were secret witches. When practicing as a witch it is a good idea to collect some basic tools to be used in rituals and spell casting, historically the firmly bristled broom was used to sweep away any negativity from the home. 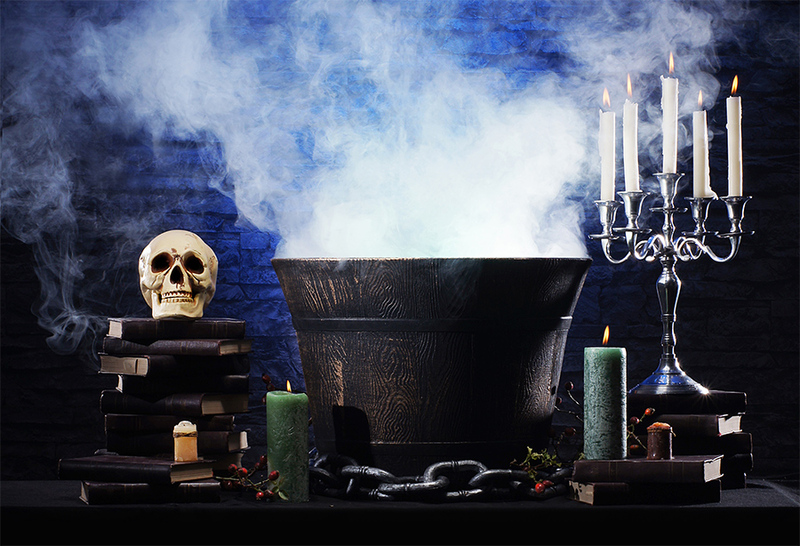 The cauldron was used by all witches to concoct their magic potions, many rang a silver bell before magic making as it is said to create an ambient and positive energy to work within. Attractive fabric placed on the altar helps to create a rich and majestic atmosphere, with candles, figurines and incense placed on top, keep all magical implements together this keeps them charged with magical energy. When spell casting, possibly to bring love into your life or someone else’s life, you focus on increasing love for all beings, this way love in various forms can be manifested into yours, or someone else’s life. If you are attempting to attract one person in particular you work with the proviso that this will be right for both of you and that you are both willing participants. The best way to approach magic is with one foot in the magical world and one foot on the earthly plane, every spell works from the same premise, you will be channeling the life force inherent in all forms of existence. When you practice magic you can invoke the god or goddess energy or ask for the assistance of angels, to be used both for protection and as channels for healing and positive energies. Whichever deities or beings you invoke you will draw to you the particular energy necessary for your spell work. When choosing a god or goddess choose one that has the power of a specific energy that you wish to use in your magic work, whether for ritual, meditation or spell work. Only call upon the deities who exude the particular traits that draw you. Magic spells are usually cast to draw prosperity, love, protection, health or fertility, or if magic is needed for crops, in this case the lunar cycles are taken into consideration. In ancient times the care and protection of lands, and crops was the responsibility of hierarchy and peasant alike. Individual offerings were left for the gods and goddesses of the land, and personal spells were cast, charms were used and positive energy sent to the Earth as a whole. And of course as positive energy was sent out, it then returned to the practitioner threefold, many individuals used plants, herbs and flowers in their magic rituals. Many gathered and brewed their magic potions on a particular day, at a particular time and paying attention to the lunar cycle. In private homes the hearth was a place where much magic was practiced, this was used along with the cauldron, ancient cauldrons can on occasion be picked up from European market places. Often herbs, plants and flowers were used to create potions to be used for illness, financial assistance and to help in all matters of love. Farmers often left milk to draw upon fairy assistance to help with their crops and to bring them luck and prosperity, young girls chanted while herbs were planted while they visualised their desired lover. The old folk magic which has been used for centuries, is still to this day practiced by witches, and this magic is as popular and relevant as ritual and ceremonial magic. When creating magic, crystals, candles, incense, herbs, plants, flowers, stones, runes and oils can be used for spell casting, these implements can be used for any type of magic, from healing, love, prosperity and protection. Spells can be cast on a universal level to help the world at large, or in a more personal way. No matter what type of magic you are working with, the principles are the same. You have what is called contagious magic, which requires you to absorb power from a particular object or creature, you may use talismans or amulets. You have sympathetic magic that requires a ritual requesting a desire in the outer world, then bringing the desire, or wish from the inner plane. Certain tools are used, such as if it is a love spell, a pink candle, a rose quartz crystal, something in the shape of a heart and a love chant would be used. Then there is a combination of contagious and sympathetic magic, to bring to you that which you desire, you always chant with this type of magic using a chant spell that is relevant to what you want. There is also protective and banishing magic, you write on a piece of paper what it is that disturbs you, you then rip the paper into small pieces and put it in water shake some salt on top and swirl it around. You then bury the paper, chanting, “Be gone”, three times. Binding magic, works in two ways someone can be bound from doing harm, or lovers who desire everlasting togetherness can be bound to each other. This can be done by using some red knitting wool and typing it in knots, at least three, relationship binding should only be done with the compliance of both parties. The circumstances under which this type of magic is acceptable without someone’s permission, is if a person or persons are harming or hurting others. As you wield your magic you do so using the words “I am doing this for the good and wellbeing of another or others”. Actually the best spell to cast if someone is being done any type of physical or mental harm is to surround them in a protective aura. There is a difference between ritual and spell magic, ritual magic is more formal requiring ceremonial magic, spell magic is less rigid about what implements to use and how to cast spells. Ritual magic often used spells and magic dating back centuries, the witches would chant and dance around sacred fires and there would be specific times to conduct their magic. Both ritual and spell magic have the same type of potency, the only difference is that the ritual magic is more elaborate in preparation and application. There are three types of magic, personal magic is quite acceptable and everyone has particular needs and wishes that they want to use magic to help bring to fruition, in times gone by when food was scarce magic was often used to bring enough sustenance to maintain a family. Many witches worked with several types of magic to allow them to care for their families, herbs, plants, flowers, crystals, candles, talismans and amulets were frequently used. In modern times personal magic is used for various reasons, possibly for career assistance, for study and learning, to create life change and for health matters. Spells are used for friends, lovers and relatives, these spells usually contain the most emotion because of the personal connection. Magic for others, these magic spells and rituals are for individuals or groups less emotionally connected, such as those caring for a sick person in the workplace, or helping a colleague in a business matter. Possibly you want to help those less fortunate than you are, or you may wish to support an animal shelter, or childrens center. Part of the cosmic cumulative system will return to you threefold the loving and positive energies you send out to others, and these energies may come back to you when you least expect, and when you are feeling at your most vulnerable. The cosmos always listens and hears, and will respond to your needs, be assured you are never alone. There is magic to create positive, benign and auspicious energy, this is where abundance, happiness, love and healing is sent, these spells are focused on those in need whether they are starving, or in a war torn setting, or depleted on any level. The more people who send out positive energy the more is put into the cosmos, to ensure the power is intensified practical application is also necessary. And regarding the threefold law you will receive healing and positive energy in various ways. In magic practice all spells as well as formal magical rituals usually follow four stages, the less elaborate, and less formal spell may use only one or two steps. 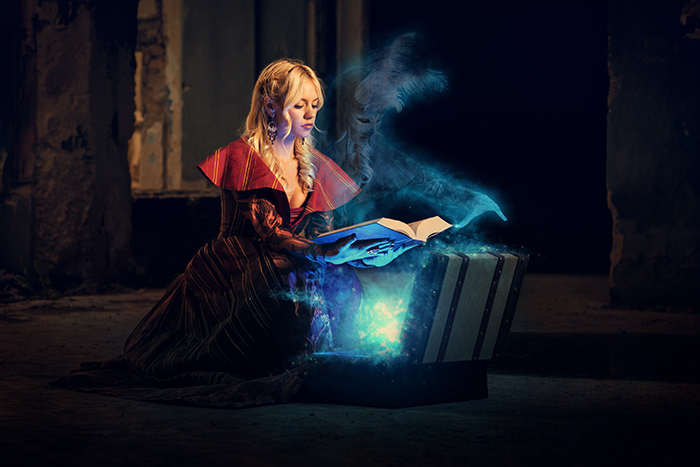 The first step in spell casting is the intention, at this point you verbalise and visualise the spell you are about to cast, at this point of spell casting, be very clear about what your intention is. During this important first stage give the spell your full concentration and don’t waver in your thought process. The second stage is the action, this is where you imbue your spell with magical energies. This is where you are taking your magical thoughts from the first stage the inner world, to then manifest in the outer world, shifting energy takes place during this stage of spell casting. The next stage of magic called raising the power, it is the moment where the magical energies are intensified, at this point you may want to chant your spell again, helping the energy rise. Stretching your arms and hands up to the sky helps the power of the cosmos to be absorbed, at this point you are creating a cone of power, visualising silver light helps to intensify the energy. While visualising silver light imagine you are breathing in silver light, as the energy reaches a crescendo the release of power then takes place, if you have difficulty visualising you will very likely feel the energy coursing through and around you. This is called the point of growth. Release of power is the final stage of the spell, this is the point where the energy surges into the cosmos, it is at this point you are able to direct the energies, for healing or manifestation. This is called the point of release and heralds the completion of the spell. When spell casting it is important to recognise and utilise the four elements, earth, air, fire and water, as the qualities they contain add power to your magic rituals, with each element corresponding to a particular direction in your sacred space. Security and strength is associated with north and the element earth, east and the element air represents action, wind, storms and release of stagnation, it also represents change. Fire, the Sun, the flash of lightening, are the energies represented by south and the element of fire this depicts death and rebirth, west and the element of water, represents, the ebb and flow of tides, moving water and rain, there is a cleansing associated with this energy and it relates to human emotions. When you set up your altar, candles are placed to represent the four elements, in the north, south, east and west. Magic can be created in a number of ways and for many different purposes, you may choose to conduct your magic formally, with ritual and ceremony. You may wish to conduct your magic in an informal manner as a solitary entity, for personal reasons, or for entirely altruistic purposes. It is important to create a sacred space where you can conduct your magic practices, by doing this your space is charged with essential magical energy. Your magic spell casting may be as elaborate or as simple as you choose it to be. The position of the altar represents the realm of spirit, it is also a good idea to cleanse your altar with incense before you begin any spell casting. You can create a magic circle in which you can work, by scattering dried lavender, or dried rose petals in a circle around your altar, leaving enough space for you to work within. When you work within your circle you can call upon the powerful gods or goddesses to enhance your spell casting, for all forms of magic call upon, Kali, Aine, Ishtar, Yoruba, Isis or Diana. Three is a sacred number in magic procedures, create a triple circle of power and protection, this represents the three aspects of the Moon, maiden, mother and crone. You create the triple circle of power and protection by walking around your sacred space three times clockwise holding a stick of incense, a magic wand or a crystal. When your spells and rituals are completed you can close the circle by reversing the circle by walking around three times anti clockwise holding an incense stick, a magic wand or a crystal, to complete this all candles should be put out. Preparing the mind for magic work is necessary before beginning any spell casting, when practicing magic you are working with the right hemisphere of the brain as this controls intuition and psychic awareness. It is necessary to first meditate and to place yourself in an altered state of consciousness thus freeing the intuitive side, making you more ready to connect with the cosmos. You are then in a state of mind where energies can glow between dimensions. When creating and working within a sacred space you are in fact shutting out the everyday world and working within magical energies, before you begin you may want to invoke four angels of protection to stand at the four corners of your sacred circle. If you are feeling unwell, agitated or tired, you can step within your magic circle to energise yourself and put yourself into a state of peace and calm. Another way to induce calm is to stand and look at the full Moon and breathe in its life affirming energy, you are inhaling the moonlight. There is an ancient inscription, “As above so below”, meaning that by releasing magical intentions into the cosmos, this will then be reflected to you magically. For centuries gods and goddesses have been called upon to influence in some form, sprits and angels can also be called upon. The energies of the goddess can be invoked to amplify the witch’s divine energy helping the witch to slip into an altered state of consciousness, the gods can be called upon to offer protection during ritual practice. There are many gods and goddesses that can be called upon to exude their particular energies during ritual magic. Aphrodite has a particularly potent energy associated with romance and love. Call upon Artemis sister of Apollo, with her you can send your love magic further afield to draw to you an unknown admirer. Venus can be invoked if there is difficulty within a relationship and a couple requires assistance. Invoke Apollo the god of prophesy, he is especially useful during rituals of inspiration, ambition and power, male witches often invoke him. Aine the daughter of Manananann, Celtic sea god, she rules the solar and lunar year, and is linked with healing, fertility and love. The ancient Japanese sun goddess Ama-terasu Omikami, is a potent energy to invoke for any female focused magic, or ceremonial magic. The Greek Sun god Helios exudes the energy associated with the life force and renewing energy, and is particularly useful if someone is recovering from an illness. Horus was the ancient Egyptian sky god, the son of Isis and Osiris, invoke him for magic spells if there is a need to uncover, deception or secrets, he exudes the energy of opportunity, and helps you to seize the moment. Arianrhod is a Welsh goddess of the full Moon, karma and destiny, she brings renewal, inspiration and good health, and as she is a witch goddess, she can be invoked to help focus all magic. 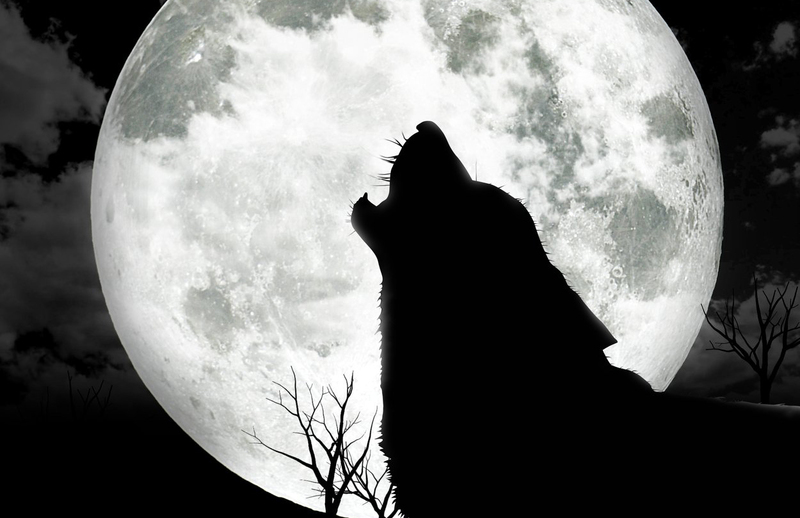 Myesyats was the Slavic Moon god who represented the three stages of the life cycle, as a young man reaching maturity at the full Moon, with the waning phase passed through old age, and was reborn three days later. He was the restorer of life and rid people of illness and sorrow, he induces family harmony and healing. Invoke Astarte goddess of love and fertility, she is associated with the Moon and nature, she brings with her, wisdom, power, fertility and passion. If you wish to cast a spell to heighten psychic awareness, creativity and inspiration call upon Cerridwen the Welsh mother goddess. If there is a time of mourning or sadness, call upon Ceres the Roman goddess of grain and all food plants, she offers hope and happiness after difficulty. Demeter is the Greek corn goddess, invoke her for anything associated with motherhood, and for benefits and abundance. The Sumerian goddess Innana, known as the Queen of Heaven, was the goddess of abundance, fertility, passion and beauty, she is also the one to invoke if you are trying to overcome something. If your magic is for marriage, relationships or family unity, then call upon Frigg the Viking mother goddess who was patroness of mothers, families, women and marriage. For magic associated with peace and harmony in the home, call upon Hestia goddess of the hearth and home. Invoke Juno Roman queen of the gods, she is the protector or women, marriage and childbirth, and is particularly helpful in matters associated with marriage, fidelity and children. Dagda was the father god in the Celtic tradition, invoke Dagda when you know that change is needed even though it is not always welcome, he represents all that is necessary and new. Odin the Viking father god of inspiration, poetry, war and wisdom, Odin is especially helpful in matters associated with divination, particularly rune casting. Oya is the African goddess who rules the winds and has control over the winds of change, invoke her during times of change as she helps you to take charge of your life, she is especially useful regarding all matters to do with good fortune and commerce. Bellona is the Roman goddess of war, she is usually invoked by women creating magic associated with self-confidence and assertiveness. Kali is the dark side of the Hindu mother goddess, invoke her for magic if you are feeling fearful, she offers protection and regeneration. Persephone is the Greek goddess of transformation, she is especially helpful to women who have suffered loss or abuse, she also assists with mother daughter relationships. Sekhmet is the ancient Egyptian solar lion goddess, approach with care as she is an extremely powerful deity, call upon her to evoke courage, physical protection and psychic protection, she also stand up against injustice. Brighid is the Celtic triple goddess and patroness of poets, smiths and healers, invoke her for healing and fertility magic, also for any form of creativity. Gaia is the goddess of the Earth, her energy heals and renews the planet, she is also the goddess of marriage, invoke her if marriage is your objective. Dionysus was a god of grain, he was the Greek god of fertility, ecstasy and wildness, another powerful deity to be invoked with care and a clear intention, he has a particular power to help people to break away from bad situations or habits. Agni is the Hindu god of fire, invoke him for the increase of material good, creativity, protection and prosperity. Hephaestus was the Greek god of fire and metal-work, invoke him for anything to do with craftsmanship, to assist in the development of skills, and where precision and control is necessary, also to assist in the accumulation of wealth. Aesculapius was a healer, invoke him for any form of healing and for dreams and divination. Invoke the Hindu water goddess Ganga for magic healing rituals, prosperity, happiness and fertility. Iduna is the Viking goddess of eternal youthfulness, long life and health, she is the goddess of spring, her store of golden apples endowed immortality, healing and fertility. Invoke her for healing, health, wishes to be granted, and anything to do with beauty. Panacea is the Roman goddess of healing, invoke her for healing rituals of any sort and for removing pain. Sulis is the Celtic goddess of healing, call upon her for healing, the removing of sorrow and anything associated with justice. Athena, daughter of Zeus, is the goddess of wise counsel, negotiation and intelligence, she is also associated with all forms of the arts and literature. Invoke her for healing, reason and peace. Hathor the ancient Egyptian goddess of truth, joy, music, art, dance, wisdom and protection, is a powerful fertility goddess, and unites husbands and wives. She offers extreme protection in the case of psychic or physical attack. Ma’at is the ancient Egyptian goddess of justice and truth, she maintained balance and order in the universe, invoke her if there is anything secret, or hidden that you wish to be uncovered, including trustworthiness and honesty. Hermes the Greek messenger god with the ability to travel between dimensions, invoke Hermes for good fortune of all kinds, and to protect you against reckless behavior. Minerva Roman goddess of wisdom, controller of crafts and commerce, and the inventor of music. Invoke her to assist in career matters, skills, anything to do with music, also she was a staunch advocate for justice and her energies are particularly helpful associated with any legal matters. Thoth ancient Egyptian god of the Moon and wisdom, invoke him for any magic associated with intellectual pursuits, wisdom, study or examinations. Hecate known as the crone goddess, is also the goddess of good fortune, invoke her for any behavior or habit you wish to break and for rituals to do with banishing sadness. For spellcasting, if you choose, you do not need to use any tools whatsoever, it does however create a more suitable atmosphere if you use candles, incense and oil essences, and if you choose crystals, and statues. For more power use four candles to represent the four elements, earth, air, fire and water, again if you choose you may want to use only one plain coloured candle for focus, it is entirely up to you. If you are using candles, incense and oil essence light these before you begin your spell casting, or meditation, then cast your sacred circle. When using candles, go for long lasting ones, this enables you to blow them out when you have finished your rituals and use them again next time you open your sacred circle. Some witches will not use a candle they have used for one particular ritual, for a different type of ritual, others completely disregard this practice and use their candles over and over. Try not be rigid when practicing magic and only do what feels right for you, let your intuition guide you, there are certain astrological significances attributed to particular coloured candles. Green is for north and the element earth, place this in a candle holder and put it in the northern position on your altar. Earth represents the yin, female nurturing principle, invoke when there are matters associated with property or finances. Yellow is for east and the element air, place in a candle holder and put in the eastern position of your altar, invoke this element if it is change you seek, it also helps with communication, it refreshes your thinking. 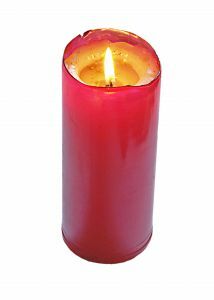 Red is for south and the element fire, place your red candle in a holder and put it in the southern position on your altar. Invoke this element for inspiration, achievement, fertility, ambition and power, also to burn away what is no longer needed in your life. Blue is for west and the element water, place a blue candle in a holder and put it in the western position on your altar, water represents fluidity and movement. Invoke this element for reconciliation, healing, a cycle of change and newness, love, relationships and heightened intuition. Water represents the yin, female goddess. You may use candles representing the energies of each of the signs of the zodiac. Associated with courage, action, innovation and determination. Use for adaptability, communication and choices. Especially useful for spells associated with protection, love, home and family. Suitable for rituals aligned to sensual pleasures, love affairs and leadership. For spells to bring order to difficult situations and for healing. Especially useful for rituals concerning balance, relationships, reconciliation, the law and justice. To enhance creative ventures, new perspective, long-distance travel and optimism. For loyalty, prosperity, ambition, perseverance, and anything official or to do with law. Representing creativity, detachment from emotional blackmail, independence and friendship. Use when casting spells for spiritual awareness, psychic awareness and intuition, also for divination. If you are working with colour magic only, then you can use colour symbolism by focusing on the qualities inherent in the different coloured candles. White represents the life force and clear vision, use also for protective magic. Red is the colour of determination and action, sexual passion, change and overcoming. Orange is for physical and mental fertility and for creativity and confidence, it is the colour of assertiveness and independence. Yellow candles are used for removing blocks of all kinds, and helping communication, use this colour also if you are eager to move house, it can also be used for mental healing. Yellow is suitable for those involved in medicine or the media. Green is associated with relationships and love, for partnerships and romance, this is a good colour to use for prosperity and the increase of magical abilities. Turquoise is associated with music and wisdom, and the integration of thoughts and feelings through wisdom and experience. Turquoise helps when combining different aspects of life, and for healing, decision making, being objective and to open you to other dimensions, it is the colour of inspiration for dancers, poets, writers, artists and sculptors. Blue is a protective colour, it opens up the mind to possibilities, and brings success, it can be used for prosperity rituals and works especially well if this is associated with business expansion. It is the colour of house moves, long-distance travel, and for careers involved with leadership and justice, it offers calm, and a clear mind in the midst of difficulties. Purple represents the unconscious and can be used for all matters psychic and spiritual, and especially for divination, it forms a link with higher realms. It helps to make a connection and opens the doorway between otherworldly matters, and the earthly material plane. Use for psychic protection, and for rituals in which you want to uncover secrets, for healing and banishing. Pink is suitable for rituals to restore self-esteem, and for healing emotional hurts, it aids family and relationships. Magenta is for all those involved in the healing, counseling or care of others. Brown is for learning new skills, for property matters, security and abundance, it is for harmony within the home, and for all those who work with their hands. Grey is very effective in offering protection from physical and psychic attack, it is a colour that settles tensions, a colour of secrets and for reducing conflicts, it enhances the wisdom to withdraw when there is danger. Black is the colour of regeneration, black is endings and new beginnings, it is for letting go and for psychic protection. Black is the colour of acceptance and balance. Silver is associated with intuition, divination and mysticism, it awakens psychic and telepathic powers, it aids astral projection. It also represents fulfillment spiritually, it heightens and helps tap potential, and promotes inner calm. Gold is used for wealth, ambition and recognition, use for rituals associated with change. 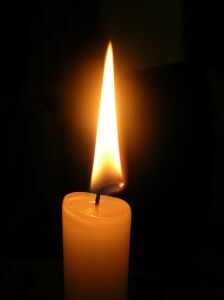 When working with candles use the candles that have the energies you wish to draw to you when you are spell casting. When you create and work within your magic circle you first divide it into four quarters, these quarters are referred to as the Watchtowers, you call upon four angels to direct the energies of the circle. You may call upon the most well-known archangels, Raphael, Uriel, Michael or Gabriel, or you may ask for angels offering guidance and protection. Raphael is the healer and helps to fill you with wonder and optimism, Uriel is the holder of the keys to the sacred mysteries, he helps to direct magic energies and helps you to be open to magical energies. Michael gives you the strength to overcome any challenges and obstacles, he guides you to the right path, he nurtures wisdom and understanding. Gabriel is the bringer of compassion, acceptance, he offers truth and understanding. Each day holds a particular energy for magic depending on the planetary influence. Sunday is ruled by the Sun, create spells this day associated with success, ambition and power, it is a day of individuality and independence, it is also a day of new beginnings. It is a day of spirituality, healing, prosperity and happiness and breaking through barriers and moving forward. The Sun fosters personal empowerment. Monday is the day of the Moon and especially powerful for spells associated with family, children, fertility, home, health and the psyche. The Moon offers protection when you travel it also has a special energy for psychic awareness. The Moon’s intensity helps to bring that which you ardently desire into being. Tuesday is ruled by the energy of Mars, create spells to do with initiative, objectivity, courage and change. It also offers an altruistic energy suitable for helping those who are vulnerable, it offers psychic self-defense and if you are standing up to injustice, work with the Mars energy, it also assists with overcoming seemingly insurmountable odds. If your spell is done with the thoughts of love, the dynamic energy of passion and love that Mars exudes will assist you in your spell casting. Spell casting on Wednesday you will be influenced by Mercury, which is excellent for any matters associated with money, it is a day of logic, communication, understanding and flexibility. Anything to do with technology, short-distance travel, and any type of examinations and tests, Mercury bodes well for healing and any type of surgery, and for any negotiations associated with business or finance, Mercury also assists with the overcoming of debts, and for divination as it aids the seer. Thursday is ruled by Jupiter, and has the energy of increase, it aids prosperity, promotion ambition and fulfillment. It also helps those who are socially orientated, and its energy supports leadership and anything to do with law and justice, it is associated with growth and increase, it promises success and abundance. It is especially useful for relationships, marriage, loyalty and business partnerships. If your life is one of excess and you wish to change this, Jupiter is the planet to help banish any negative behavior. Friday is the day of Venus and is associated with all matters to do with love, it offers harmony and togetherness within a relationship, only use the energy of Venus in your spell casting if your partner, or desired partner, is receptive to you. For any spells to do with music, the arts, sexuality, acquisition, beauty, prosperity and fertility, Venus rules all matters to do with growth. Venus supports self-love and energises new love, Venus can also assist and reduce the influence of possessiveness and destructive relationships. Saturday is the day of Saturn, it is associated with endings, beginnings and patience, it helps stoicism when there are limitations, it also stirs the energies for overcoming, it offers the energy for a cautious and sensitive approach. Practice any spells to do with psychic protection, emotional balance and stability, or the overcoming of habits. It also heightens psychic development and intuition and can be used for any past life work or astral projection. Saturn can help you manage finances and also to work diligently on what needs to be changed in your life. Incense for Magic can be used for invocation and to carry energy to the gods and goddesses you call upon, and of course it can, and is used for mediation, psychic protection and astral projection. As incense represents the element of air, you place it in the east position on your altar, the smoke is concentrated and the fragrance is potent. It can be used for any type of spell casting or ritual work, incense sticks are the safest to use, always place in an appropriate container, the best container to use is one that catches the ash. After you have finished your magic work and closed your circles, scatter the ash outside. Allspice incense can be used for matters associated with money, business, acquisition and action. Apple blossom is suitable for fertility, youthfulness, being open hearted and optimistic. For prosperity and relationship harmony and fidelity. Burn bluebell for marriage and fidelity. For removing negative thinking and for healing burn cedar. For spells to do with protection, love and money. Cypress is the incense to burn during times of transition, moving on and letting go. Frankincense is the one to use for strength, success, optimism. For overcoming, moving forward and matters associated with trust. Heather is suitable for passion, fidelity, taking advantage of opportunities, and for luck. Burn honeysuckle for psychic awakening, protection and to help you make money. Hyacinth assists in any matters associated with reconciliation, it fosters love and harmony. Burn ivy for strengthening relationships and permanency and for fidelity. Burn jasmine for money, sensuality and passion, jasmine is an excellent protector from psychic attack and for healing. Use lavender for reconciliation and love. Lemongrass is for protection, the increase of psychic awareness. lemon verbena is for luck, protection and to repel negativity. Use lilac for strength and to remove negativity, also for all matters associated with family and home. Burn incense to assist in breaking negative habits and to draw light and love to you. lily of the valley gives clarity of mind, and opens you up to joy and happiness. Marigold’s energies support fidelity and all legal matters, it is effective with any spells to do with money. Burn mimosa for protection, and for precognitive dreams. Burn mistletoe for healing sadness and for overcoming injustice. Use myrrh for protection and healing. Nutmeg is used for healing, wealth and fertility. Use orange blossom for relationships and marriage and for increasing confidence. Use rose for love, passion and harmony within relationships. Sage is used when casting spells for health and wisdom. Burn sandalwood for psychic awareness and for sexuality. Enhances love, friendship and joy. Tamarind is for new love. Thyme is used for clairvoyance, strength and prosperity. For spells to do with passion and love. If you are casting a spell for uncovering secrets burn violet. If you choose you can also use more than one type of incense to enhance your magic spell casting. Regardless of what you read to do with magic, ritual and spell casting, only practice what you are personally comfortable with, there are no hard and fast rules. Being a practicing witch is an individual and unique journey, over time you will develop a style of witchcraft that suits you and one you feel entirely comfortable with. Above all approach with love, light and joy, make the spells your own.